A pair of standouts from Sly5thAve's breezy, lightly orchestral takes on classic Dr Dre productions! 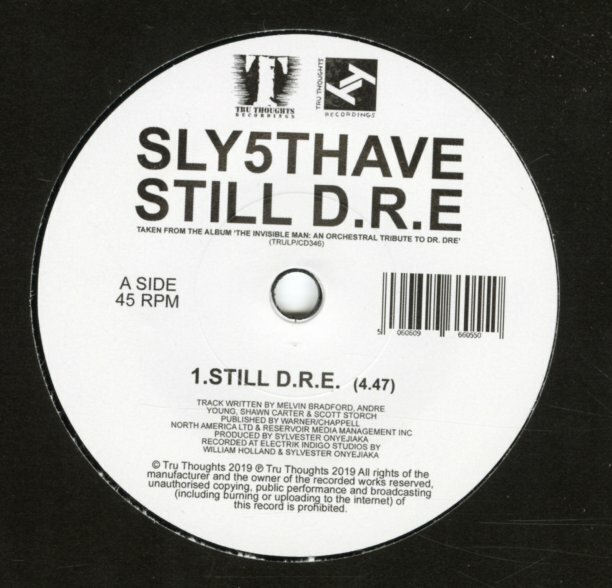 "Still DRE" is one of the sweetest jams of all, taking flight on soulful stings, piano and flute, leading into terser, tighter grooves anchored by funky drums. Jimetta Rose's vocal and the bass, drums and keys groove on "Let Me Ride" gives this track a neo-classic Cali soul vibe that's impossible to resist. © 1996-2019, Dusty Groove, Inc.